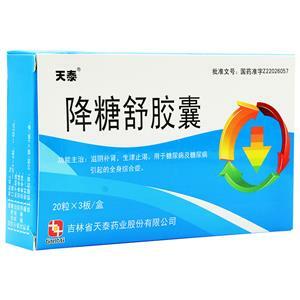 For diabetes and systemic syndrome caused by diabetes. 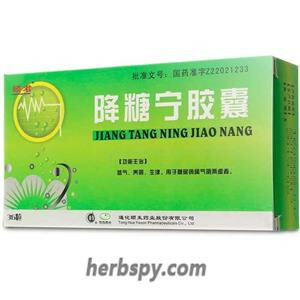 Enriching yin and nourishing kidney,help produce saliva and slake thirst. 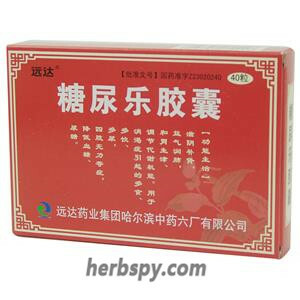 Red Ginseng,Barbary Wolfberry Fruit,Milkvetch Root,Manyprickle Acanthopanax Root,Solomonseal Rhizome,Sharpleaf Galangal Fruit,Oyster Shell,Rehmannia Root,Prepared Rehmannia Root,Kudzuvine Root,Salvia,Lychee Seed,Rhizoma Anemarrhenae,Gypsum,Gordon Euryale Seed,Common Yam Rhizome,Figwort Root Chinese Magnolivine Fruit,Dwarf Lilyturf Tubers,Combined Spicebush Root,Snakegourd Root,Trifoliate Orange Fruit. 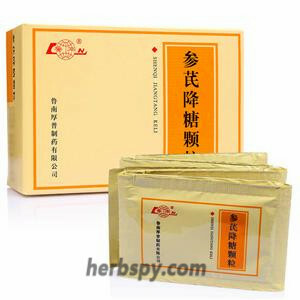 .This product is capsule, the contents of which are tan or red-brown granules or powder. For oral use after meals,4-6 capsules thrice daily or by medical ordor. Avoidnspicy food during taking this product. 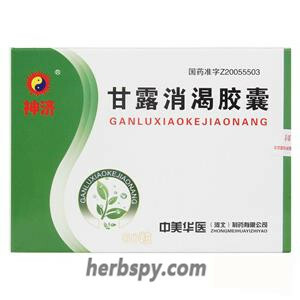 Jiangtangshu Capsules can effectively increase the glucose transport, accelerate the oxidation and glycolysis of glucose, promote the synthesis and storage of glycogen, inhibit glycogenolysis and xenogenesis and lower blood sugar,it has a good effect on repeated infections and dysuria caused by diabetes,upper body obesity, pruritus, weakened or disappeared tendon reflexes of peripheral neuritis. 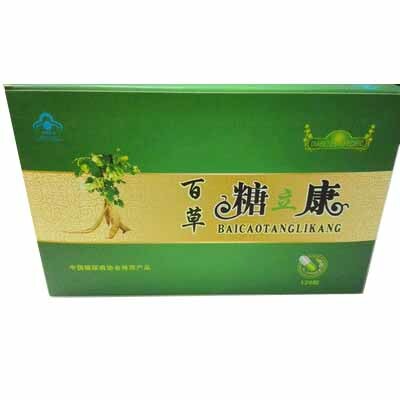 At the same time, Jiang Tang Shu capsule can restore the function of the pancreas and promote the normal secretion of insulin from the pancreas. From the medication to stimulate the pancreas to insulin to restore the pancreas self-secretion of insulin, to achieve a true sense of hypoglycemia effect. 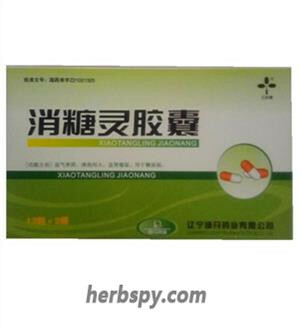 Stage Food and Drug Administration Approval number:Z22026057.